At Hartzell, we value our relationships with the world’s greatest propeller shops. Those who have met our standards for excellence become part of our network of Hartzell Recommended Service Facilities (RSF). One of these exceptional shops is Canadian Propeller, Western Canada’s only RSF. We were fortunate enough to speak with Maurice Wills, President and GM of Canadian Propeller, about what it takes to be part of this elite squad of prop shops. Located in Winnipeg, Manitoba, Canadian Propeller works with airlines, private operators, medevacs, and “pretty well anything with propellers on it,” according to Wills. 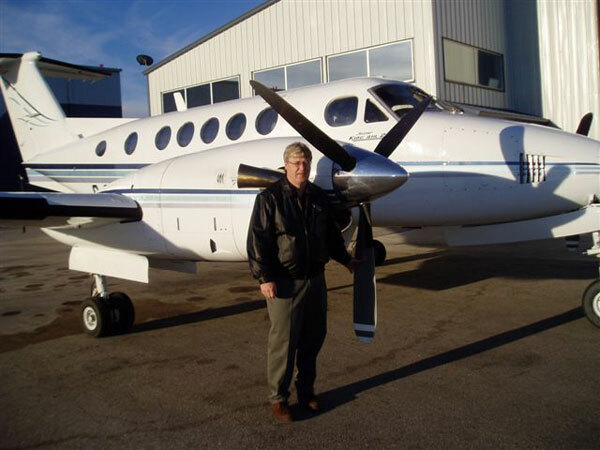 Established in 1991, Canadian Propeller delivers aircraft propeller and governor maintenance, aircraft servicing, fleet consulting, management and valuations. Wills has over thirty years of experience in the propeller industry, and his modern, fully equipped service facility covers over 11,000 square feet. They also took home the Manitoba Aerospace Award in 2004. Now that Canadian Propeller is certified, it’s not just their military customers who benefit from the company’s status as an RSF. Wills says he considers his company an extension of Hartzell, looking after both his customers’ interests and Hartzell’s to provide a superior service experience for his customers. Canadian Propeller’s dedication to quality and safety – and their commitment to upholding Hartzell’s high standards of excellence – has earned them a place among a proud group of aircraft service facilities around the globe. To learn more about the high standards of Hartzell’s Recommended Service Facilities, or to find one near you, click here.